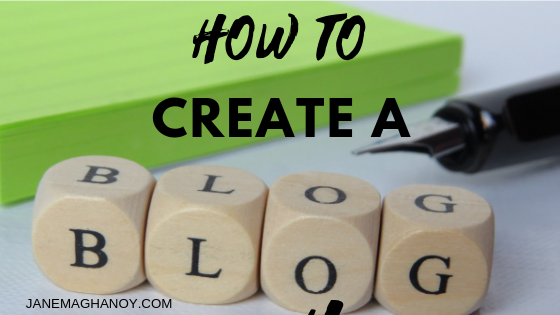 You may have wanted to know on how to create a blog but for some reason, you haven't get started. Probably because you don't have the time or maybe you always think there is still time or maybe you are just too lazy to do it. Oops, wait, you are not alone, that's actually me, I always think but I really never do it. There is proof that I can showcase to my clients. Let me take you on my journey of creating an affiliate website where I can share with you how I can monetize a website in 3 different ways. Are you ready to take a journey with me? Then let's get the ball rolling. What are the things needed to create a blog? We need a domain name and website hosting. A domain name is an address you type into the browser, such as janemaghanoy.com or besthomes.review.com. A website hosting is a space or the physical location where you store your website files. Where to buy domain name and hosting? The most popular provider is Godaddy.com, Bluehost.com or Hostgator.com. However, if you want to support a local hosting provider, feel free to check JassOnlineSolutions.com, it's my new baby 🙂 . Let's do it now. Let's make it one a step at a time. Remember, "you don't have to be great to start but you have to start to be great." Do you still want to know more about what are the next steps? Post your question at the Courageous Wahms Community, HERE.